A global community of change makers in solidarity at the 2018 Sustainable Agriculture Education Association (SAEA) Conference + Hoʻōla ʻĀina O Māʻilikūkahi Youth Food Sovereignty Congress held at University of Hawai’i West Oahu. Community-oriented, intergenerational and cultural approaches to building a sustainable food system are honored, cultivated and launched. Themed around indigenous knowledge, decolonization and socio-ecological resiliency in agroecology and sustainable food systems education. Wetland Revival Public Art Project, artist Kaleigh Chalkowski painting planters on Pauahi & Nu'uanu Street in Chinatown Honolulu Historical Arts District. A co-creative gallery, performance and community space for social enterprises and non-profit organizations aiming to transform downtown Chinatown Honolulu Arts and Cultural District through the power of the arts. Founder of Altruvistas, Malia Everette in Cuba with Ethical Travel community collaborators. Facilitates immersive experiences in the sustainable travel industry through curating journeys of intention, supporting community development programs and meso-financing. Jesus Puerto and Peace Corps colleague Nicole Lee-Mwandha continuing to be of service to people & planet. A charitable trust dedicated to promoting communication and cooperation amongst cultural organizations and communities in the Caribbean, Oceania, and Southeast Asia. The Hub at the Honolulu Biennial 2017 showcasing the interactive worK, "Graffiti Nature" by TeamLab which incorporates drawings into a live animation. — The Honolulu Biennial Foundation (HBF) supports the local arts infrastructure with a global outreach by presenting the Honolulu Biennial (coming again 2019). Acres of lo'i kalo, taro fields thrive today at Ka’ala Farm, aimed to improve community food security, connecting families and community members to the `aina "that which feeds us".- Founded from a community vision firmly rooted in the larger cultural kīpuka that is Wai‘anae and has dedicated over thirty years to creating additional kīpuka – places where our ancestral knowledge lives on. A rainbow over the organic vegetable beds of Kahumana Organic Farm & Cafe are always a welcomed sign of good things coming. Imagine waking up to this! One of Oʻahu's largest certified organic farms, education & retreat center with vocational training for families people with disabilities, and youth. Founded through reconnecting with land with farming as key stepping stone towards leading a more healthy, productive and balanced life. The Green Program Hawai'i 2017: Sustainable Community Food Systems, Energy & World Youth Congress educational travel program. Offers short-term, experiential education for our world’s most pressing issues in sustainable development; a new model for education abroad driven by a desire to provide purposeful, hands-on industry exposure at a fraction of the time and cost. 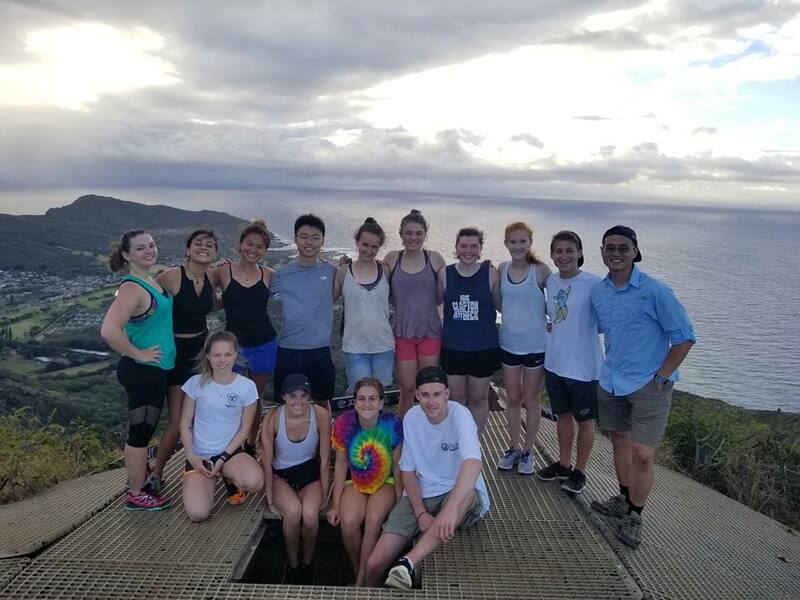 SEMESTER AT SEA HAWAI’I 2017-2019: STUDENTS IMMERSED IN AN EDUCATIONAL HAWAII-BASED 1-DAY ITINERARY AT PORT. JOURNEYING TO Kaena Point Natural Area Reserve on the North Shore of O’ahu. A GLOBAL CLASSROOM AT SEA ALLOWS students to travel and grow with hands-on, experiential learning opportunities around the world, at every port. A collective & creative directory of genuine, unique, glorious, quirky, “insider” spaces created & curated by local entrepreneurs, artists & advocates. Focusing on regenerative experiential event spaces, exhibitions, performances, murals, community talks, workshops, film, music, dance, local products, local cuisine and libations, creative expression & intergenerational, family activity. A project with a mission to exemplify inherent wealth of history, diversity, activism, ingenuity & legacy through ARTfully contemporary community experiences in legendary spaces birthed in Chinatown Honolulu Historical Arts District. A quick-fire speakers series which includes a marketplace & resident in artist spotlight. Highlighting relationships, projects, products, services, practitioners, businesses and organizations. Jumpstarting direct, tangible outcomes aimed at implementing ideas, bridging opportunities and cultivating connections in travel’s journey of transformation throughout our islands and the world. Supplying the increased demand for authentic, immersive, reciprocal travel experiences that are created from and are of service to the people and places that are Hawai’i.